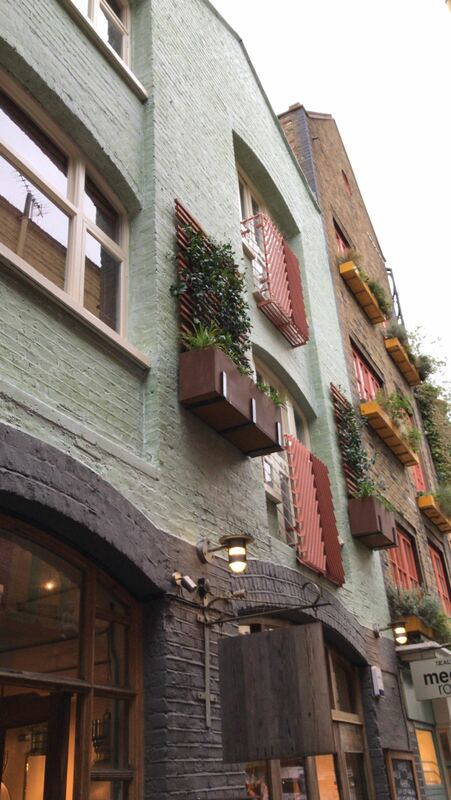 Our latest project added a little bit of greenery right in heart of Covent Garden. The brief was to come up with a wall mounted planter design that would fit in with current aesthetic and feel of Neal's Yard. We designed bespoke corten planters with iroko trellis' to create a naturally weathered look. Jasminoides trachelospermum was chosen to climb the trellis because of its scent, white flowers and year round interest. Carex and delicate white flowering vinca minor were also used to compliment the jasmine.